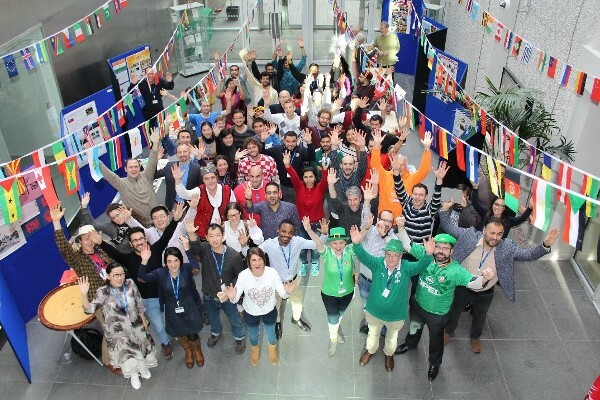 On November 29th, 2018 Tyndall came together to recognise and celebrate cultural diversity in the workplace. Staff and students from 30 countries showcased their cultures, traditions and customs. Days like this, are about bringing people together and giving them an opportunity to express their unique background and traditions in a way that’s fun and inclusive. It’s also about raising awareness and educating one another about our understanding of the values of cultural diversity, which is central to the development of an inclusive society. Tyndall’s staff and students shared stories, photos, arts, crafts, flags and more for what was a very engaging, colourful and enjoyable event. The establishment of an Equality, Diversity and Inclusion (EDI) Unit in University College Cork was announced by President Patrick O'Shea on March 8th, 2017. The EDI Unit is led by its Director Dr. Karl Kitching, who was appointed to the role in January 2018 and the Tyndall EDI Champion is Bernadette Guiney.